The initiative leverages a network of partner institutions where instructors learn the curriculum and integrate the research protocols in their lab-based courses at universities, colleges, and high schools. 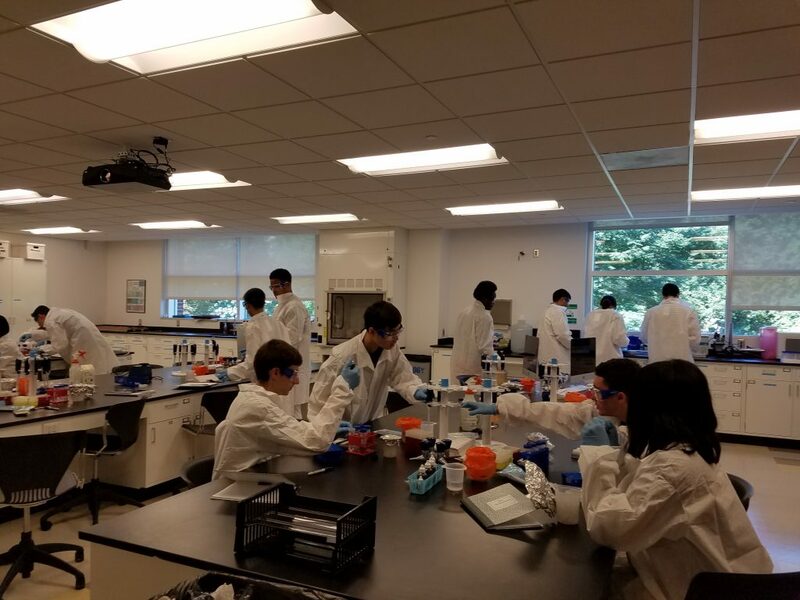 Tiny Earth’s student scientists, many of them experiencing the scientific method in action for the first time, hunt for antibiotic organisms in soil samples. It’s a global and growing network—in 2017, the program added 40 new partner institutions. The community of instructors now encompasses 14 countries and 40 U.S. states. Rothblat is part of the initiative’s commitment to engage schools, colleges, and aspiring scientists across the country. In July 2018, 24 instructors from institutions across the United States and one instructor from Nigeria, attended an intensive five-day training at the University of Connecticut. “Tiny Earth’s newest batch of partner instructors are an inspiring cohort of researchers and educators already bringing fresh ideas to Tiny Earth’s core mission of engaging undergraduate and high school students in real discovery,” said Nichole Broderick, Ph.D., assistant professor at the University of Connecticut, and Tiny Earth Science and Training Director. The program is partnering with institutions reflecting the diversity of the United States. In addition to La Salle University, the training included instructors from four Hispanic serving institutions, Austin Community College (TX), Brazosport College (TX), Vanguard University (CA), and New Mexico State University, and one historically black university, Fayetteville State University (NC). “A diversity of student scientists, like a diversity of soil samples, only enhances Tiny Earth’s discovery potential and impact,” said Broderick. The Tiny Earth training took place July 16-20 at the University of Connecticut. Rothblat is available for interviews. For more information, visit tinyearth.wisc.edu.